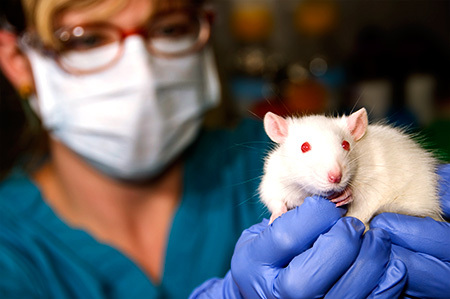 The Sprague Dawley® (SD) rat is one of the most popular outbred stocks, with application across many therapeutic areas as well as ADMET studies. The SD is an outbred stock, meaning that there is genetic variation within the stock, and each individual varies in genetic makeup. Genetic variation is maintained through well-defined rotational mating schemes, which are designed to maintain heterozygosity within the population over time. The major rat vendors all have some version of the Sprague Dawley rat, which was originally developed around 1925 by Robert Dawley, who started Sprague-Dawley, Inc. to distribute this stock1. Each vendor received their stock at different times, from different sources and in different quantities. Taconic Biosciences obtained its SD stock from the NIH Animal Genetic Resource in 1970, which had received stock directly from Sprague-Dawley, Inc. in 1945. Astute researchers know that substrains of inbred mice can vary from vendor to vendor as a result of being separated for many generations. Similarly, outbred stocks of mice and rats can vary from vendor to vendor, both as a result of being widely separated in time as well as due to genetic bottlenecks during original importation of a stock. Professor Dr. Wolfgang Löscher of the University of Veterinary Medicine Hannover has been studying variation between different vendor stocks for several years, as part of research focused on rats as epilepsy models. In 2011, his group reported significant variation in sensitivity to status epilepticus (SE) induction and post-SE pathology2. A recent paper extends those findings of inter-vendor variation to the pilocarpine model of temporal lobe epilepsy3. In the 2011 report, the authors explained this line of inquiry into intra-stock and inter-vendor variation was prompted by the observation that the SE study performance of SD rats differed between SD rats sourced from various Harlan (now Envigo) locations. They had developed protocols using SD rats sourced from Harlan-Winklemann Germany, but once that site was closed, they switched to sourcing rats from a Harlan site in the Netherlands. This prompted them to compare various sources of SD rats, including Janvier Labs, Taconic and Charles River Laboratories. The authors found that SD from Charles River Laboratories were significantly less sensitive to electrical induction of self-sustained status epilepticus, with SD rats from Janvier Labs also showing lower sensitivity. Taconic SD rats showed similar sensitivity to the SD rats sourced from the two Harlan locations. Development of spontaneous seizures after SE also varied, with a lower incidence in Charles River Laboratories and Janvier Labs SD rats compared to SD from Taconic and the two Harlan locations. Genetic bottlenecks caused by receiving insufficient animals to represent the complete genetic diversity of the source stock. Using too few rotational breeding groups. Maintaining a stock without using a defined rotational breeding program. For outbred stocks maintained in various locations, sourcing each new location using a sufficient representation of the genetic diversity of that stock is critical. Taconic uses the Poiley outbred mating scheme with 12 breeding groups in order to maintain the outbred nature of the Sprague Dawley® rat. To assess genetic diversity across the strain, as well as to monitor harmonization across different production colonies, Taconic tests each SD colony by SNPs at least once per year. For a series of experiments, utilize the same stock or strain. Do not switch to another vendor/substrain in the middle of a series. Do not assume that performance will be the same across different vendor substrains/stocks. A pilot study is ideal to compare performance at the outset of a new project. 1. Suckow MA, Weisbroth Steve, Franklin CL. (2005) The Laboratory Rat. Academic Press. 2. Langer M, Brandt C, Löscher W. (2011) Marked strain and substrain differences in induction of status epilepticus and subsequent development of neurodegeneration, epilepsy, and behavioral alterations in rats. Epilepsy Res. 96(3):207-24. 3. Brandt C, Bankstahl M, Töllner K, Klee R, Löscher W. (2016) The pilocarpine model of temporal lobe epilepsy: Marked intrastrain differences in female Sprague-Dawley rats and the effect of estrous cycle. Epilepsy Behav. 61:141-52.